New cars are full of whiz-bang features, but one that's worth seeking out for its ability to prevent a crash is automatic emergency braking. 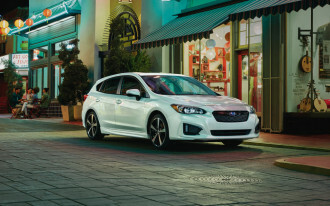 When automatic emergency braking systems detect an impending collision—via radar or cameras, depending on the setup—they first warn audibly and sometimes visually and then, if no action is taken by the driver, apply the vehicle's brakes. At lower speeds, this usually means a collision can be avoided altogether, and at higher speeds, braking may mitigate the severity of the impact. This essential safety tech is almost universally available today. By Sept. 1, 2022, every major automaker has agreed to fit virtually every new car with automatic emergency braking as standard equipment. 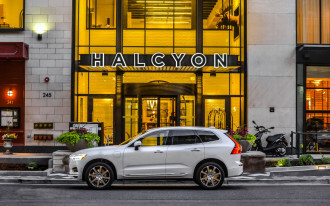 For now, however, automakers with budget, mid-level, and even luxury models often make buyers pay extra for the tech. Toyota, which packs automatic emergency braking under the Toyota Safety Sense moniker, has been the most ambitious about making advanced safety gear standard equipment on mainstream cars. At the opposite end of the spectrum, some high-end, family-oriented cars such as the 2018 BMW X5 still force buyers to pay thousands extra for automatic emergency braking. Automatic emergency braking is a significant mile-marker on the long road toward self-driving cars since the sensors and cameras fitted to so-equipped vehicles not only see the world around them, they also can react to it. In the U.S., the gear first showed up more than a decade ago in cars such as the Acura RLX, Mercedes-Benz S-Class, and Volvo XC70. 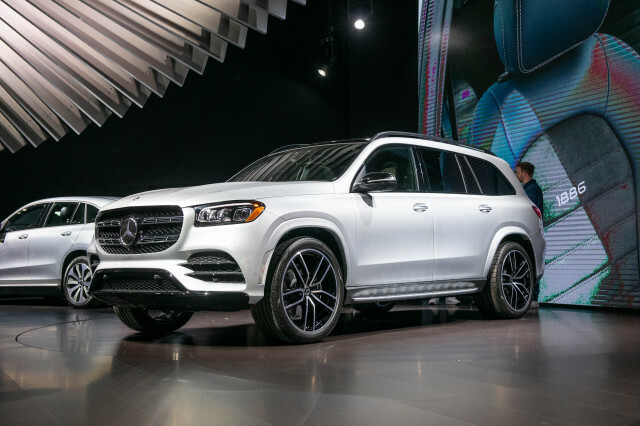 As this list of the least-expensive new cars with automatic emergency braking shows, it hasn't taken long for the tech to trickle down to affordable vehicles. 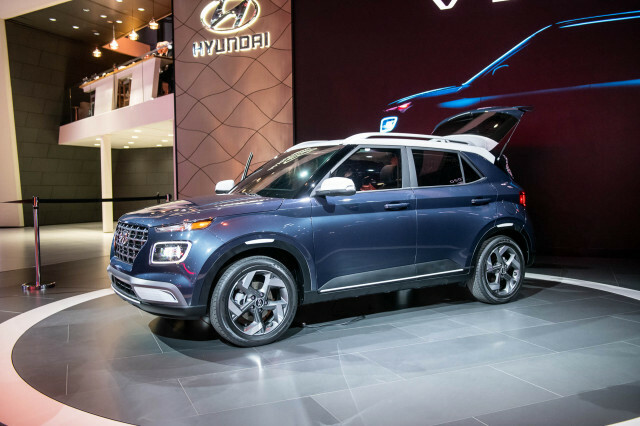 Disappointingly, our list doesn't include any vehicles from Detroit brands, although that might change once Chevrolet prices its 2019 Spark, which now offers automatic emergency braking as an option. The cheapest new car with standard automatic emergency braking, the 2018 Toyota Yaris iA, is something of a misnomer. It's actually built under contract for Toyota by Mazda and thus uses Mazda's safety tech. 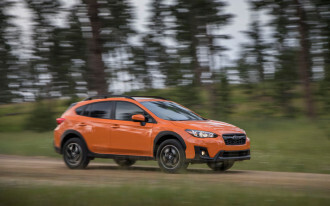 That means it comes standard with low-speed automatic emergency braking that can bring the subcompact sedan to a halt at city speeds but won't apply the brakes at highway speeds. It may share a name with the Yaris iA, but the Yaris hatchback is a Toyota through and through. 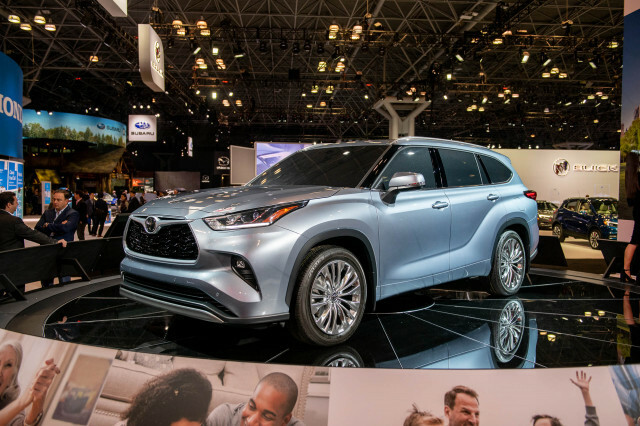 It comes standard with what its maker calls Toyota Safety Sense-C: automatic emergency braking, lane-departure warnings, and automatic high-beam headlights. 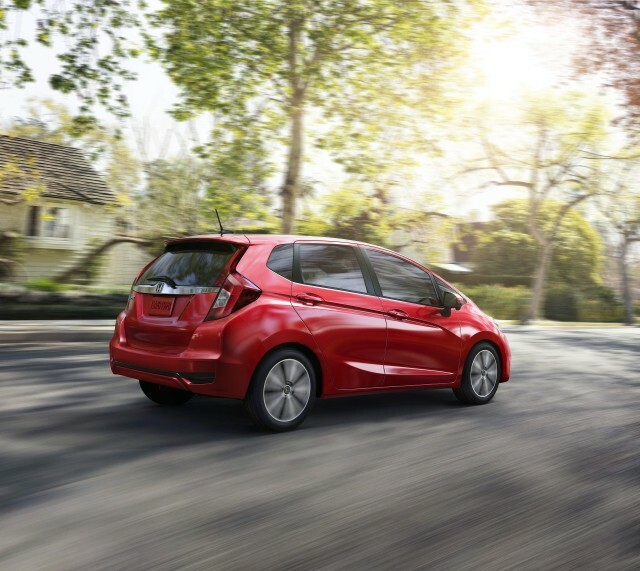 The base Honda Fit with a manual transmission isn't available with Honda Sensing—the automaker's name for its advanced safety suite—but opt for the continuously variable transmission (CVT) and the crash-avoidance tech is a reasonable $1,000. Honda Sensing also includes active lane control and adaptive cruise control, features that were relegated to luxury cars until recently. 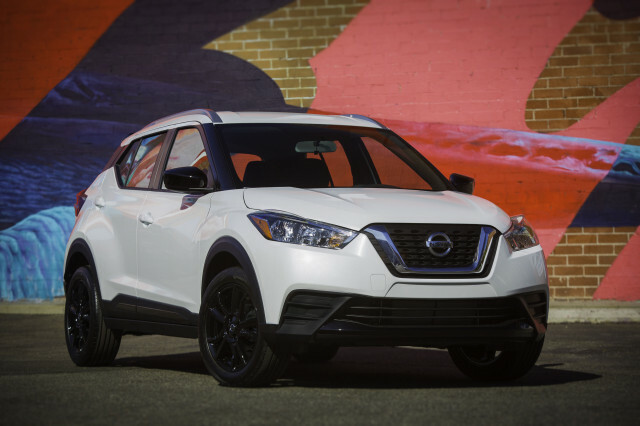 Nissan's new subcompact crossover bursts with budget-grade personality. 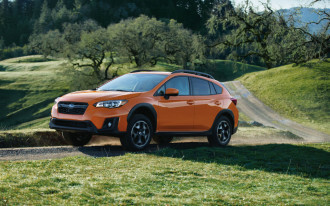 Look beyond its flashy style and there's substance, too: it comes standard with automatic emergency braking and that makes it the cheapest crossover SUV so-equipped. 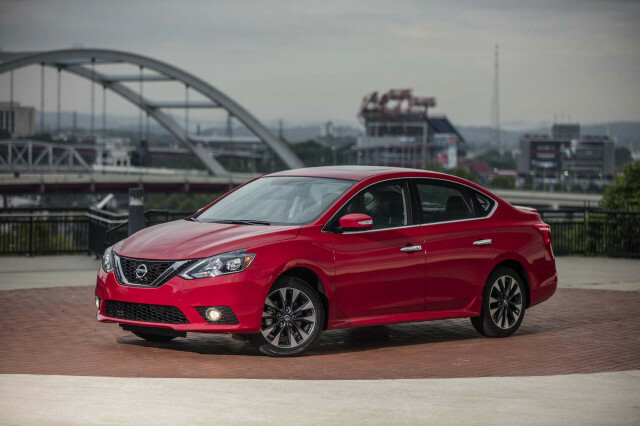 The Nissan Sentra is the least expensive compact sedan with automatic emergency braking, although you'll have to bypass the base manual transmission in favor of the optional CVT to get it. 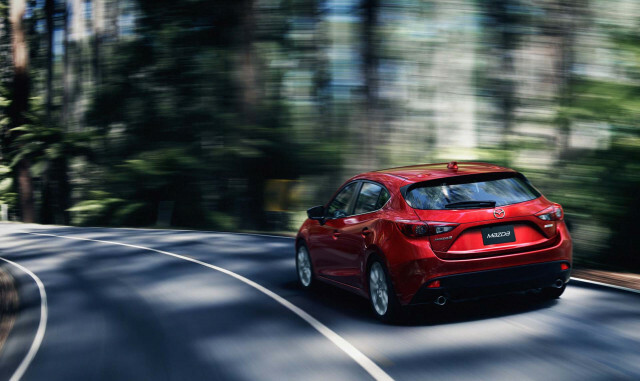 At $30 more than the Sentra, the base Mazda 3 may be worth the money for those looking for a zippier offering. 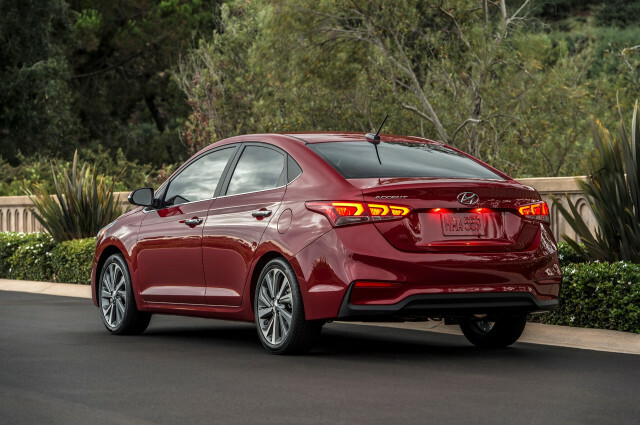 This sporty compact sedan comes standard with low-speed automatic emergency braking and a 6-speed manual transmission. 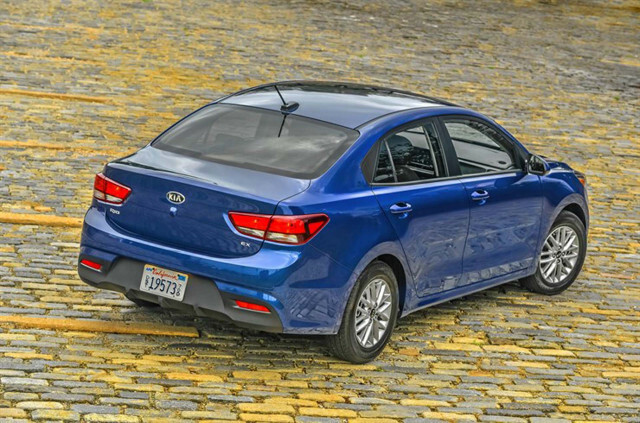 The latest Kia Rio has an upmarket feel for a subcompact, but only the range-topping Rio EX trim level includes automatic emergency braking. At least it's standard equipment on the EX, but it does make the Rio into a somewhat expensive pint-size four-door. Toyota is prominent on this list and that's a good thing. 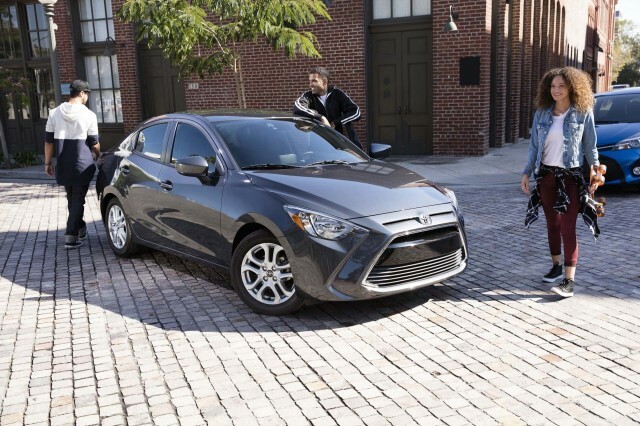 Like the Yaris, the base Corolla includes automatic emergency braking ,but it can also detect and brake for pedestrians. 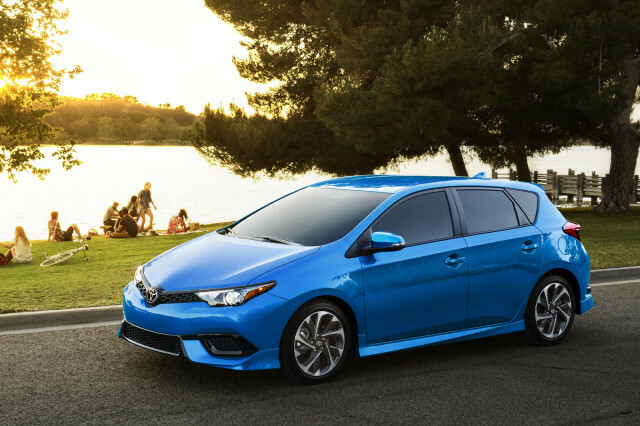 The Corolla also features active lane control and adaptive cruise control like the Honda Fit. A Corolla is a Corolla, except when it's a Corolla iM. Confused? 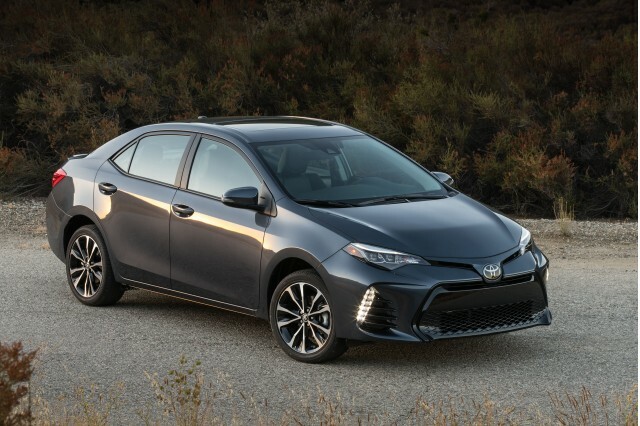 The Corolla iM shares its name with the marginally cheaper Corolla sedan—and its safety gear—but it has a more practical hatchback body and even a few more features for the money. 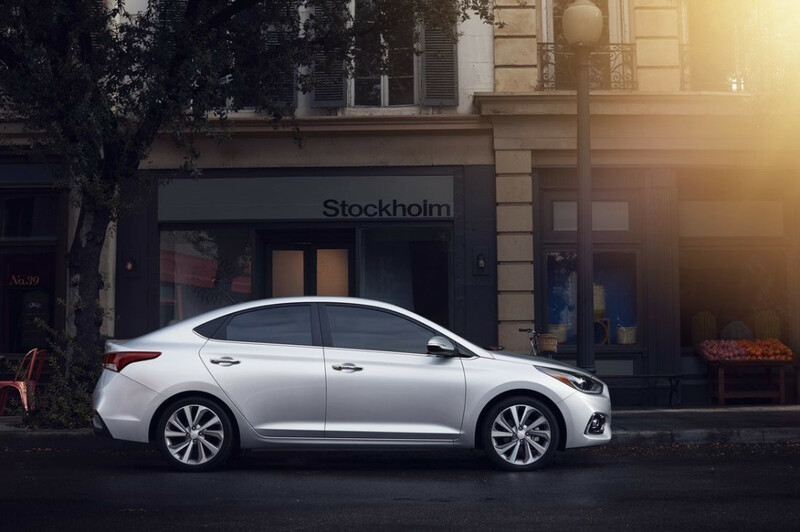 Like its cousin the Kia Rio, the Hyundai Accent is somewhat unusual among subcompact cars. 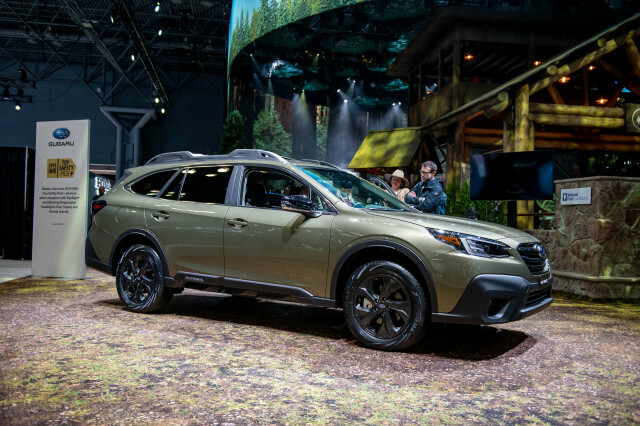 Unfortunately, its automatic emergency braking is standard only on the pricey Limited trim level and isn't available on less costly versions. 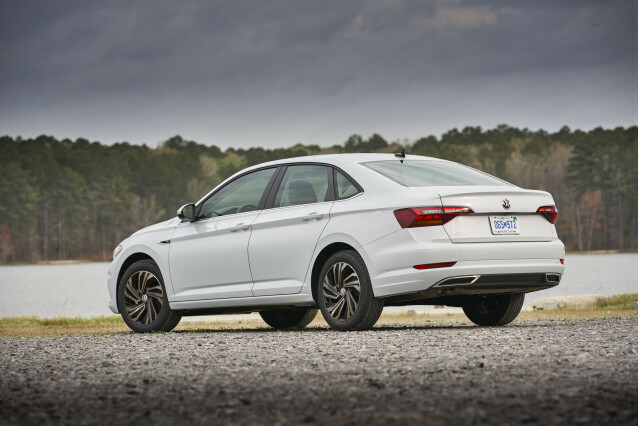 Most rims of the redesigned 2019 VW Jetta include automatic emergency braking. On the base Jetta S trim level, the gear is reasonably priced in the $450 Driver Assistance Package that bundles the tech with blind-spot monitors.